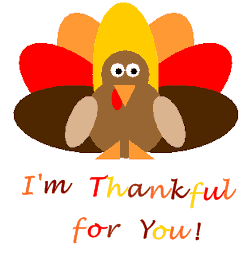 Home > Brazilian Recipes > I am Thankful for You! Brazil? Stories? Food? Recipes? No, not today!!! Today was chosen to say THANKS… TO YOU. I may not have met many of you in person, but you are a dear part of my life. You choose to lend me your eyes and ears when you could be anywhere else. You have given me the opportunity to share my home country with you, and also a part of my life as a foreigner in the great state of Texas… Your increasing readership has boosted my confidence to voice my thoughts and feelings about food more and more, you have given me free rein to just be me, you have made me feel useful… and above all, you have given me hope. Yes, hope! Hope because you are living proof there are still people in this world with curiosity, with interest in diversity, ready to learn about something new and to venture a little bit out of their comfort zone. Every time that you try one of our recipes, ask about substitutions or where to find this or that ingredient, inquire about Brazil and its culture, or simply just send me an email or leave a comment saying hello, my face lights up with joy. I just wish you could see it! Yes, I am thankful for you! I might be quite busy because there is so much going on behind the scenes, but I am never unavailable to you. Never get the feeling that you are bothering me. I’ll always be happy to hear from you — seriously! Every time that you feel like it, stop by to say hello… and never be shy to ask questions — no matter how simple or complex you think they are. I’ll do my very best to help you. Oh your girls look so cute, may God pour his blessings on your family and grant you happiness forever. Your words are so touching.. very nice post. Happy holidays dear. Happy Thanksgiving to you Denise! Your girls are precious. Such a beautiful collage! What a wonderful holiday message! Thank you for taking time out of your busy schedule to share your thoughts with us. Have a wonderful Thanksgiving Denise! Happy Thanksgiving to you Denise, it isnt really something we celebrate in Australia, but I love the tradition, so we always do a little something to celebrate all the wonderful we have in our lives. Thank YOU dear Denise, for sharing this wealth of knowledge with all of us and being such a sweet, generous, loving and talented person! We will always cherish many of your recipes, they are delicious because you share them with such care, for all us non-Brazilians. Please keep them coming, we always love reading your posts! I thank you as well for your recipe contributions certainly I learned alot from your posts! Such a beautiful post, Denise! Happy Thanksgiving for you and your family! Best thing about food blogging is all the (virtual) friends you meet, isn’t it? Lots for all of us to be thankful for. Happy Thanksgiving! What a nice post, Denise! I know that as bloggers, we rely so much on those who read our blogs, for without anyone reading our posts, there would be no incentive to blog! Happy Thanksgiving to you and your family! Very touching words, Denise! 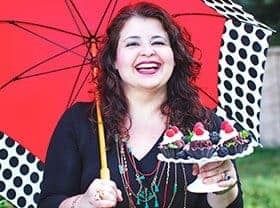 Keep up the gorgeous work and thank you for sharing your Brazilian recipes, knowledge and passion for food with the world. I wish you and your family a happy Thanksgiving! Hope you had a wonderful Thanksgiving my friend. Lovely words and yes kids and family are so precious. You are awesome. Love knowing you.